We are the national youth information and citizenship agency. Our mission is to provide young people aged 11 - 25 with relevant, trusted and meaningful information and opportunities to help them make the most of their lives. We have over half a million Young Scot cardholders and communicate with our audience through a variety of dynamic channels – digital platforms, social media, marketing collateral, magazines and youth engagement. We are the national youth information and citizenship agency. Our mission is to provide young people aged 11 - 26 with relevant, trusted and meaningful information and opportunities to help them make the most of their lives. We have over half a million Young Scot card holders and communicate with our audience through a variety of dynamic channels – digital platforms, social media, marketing collateral, magazines and youth engagement. The Digital Information Manager is responsible for leading on the delivery of Young Scot’s Information Strategy, with a key focus on ensuring Young Scot is providing young people across Scotland with high-quality, relevant and timely information to allow them to make informed decisions and choices in their lives. The postholder will take responsibility for implementing a multi-platform digital approach to information provision, and how Young Scot can use emerging digital technology and approaches to ensure we reach our audience. We presently have this vacancy available to join our team. We’re on the hunt for ambitious, creative, smart thinking and hard working people who can apply their extensive knowledge, passion and superior skills to our organisation and projects. This post will be responsible for the operational development and delivery of membership services offered to young Scot’s through the Young Scot National Entitlement Card (YSNEC) programme (smart-card and digital wallet app). This post will work with a wide range of stakeholders to enhance and effectively deliver universal, local and bespoke Rewards, discounts and entitlements member benefits. The post holder will be responsible for the line management of the Development Assistant. 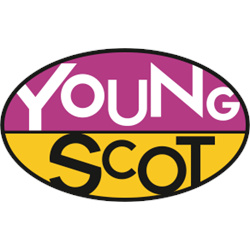 This post will support the delivery of Young Scot’s membership services offered to young Scot’s through the National Entitlement Card (YSNEC) programme. This role will support the administration and delivery of Rewards, discounts and member services, and will also support the development of digital content across website and social media platforms. The Development Assistant will also be responsible for dealing with enquiries from young people via phone, email and social media. This post will require you to participate in a rota system to cover the Young Scot InfoLine which operates to 10.00am-6.00pm Monday to Friday. The Outreach Assistant will work with the Outreach Director on delivering Young Scot’s Outreach work throughout Scotland. Young Scot engages with young people through information sessions, work in school, and working with local partners in the community. It is a key part of this job to engage with young people in these various formats and settings and to support them to become active citizens and be a part of their community. The Outreach Assistant will work across Directorates, ensuring effective planning of core engagement activities as well as strategic programmes.